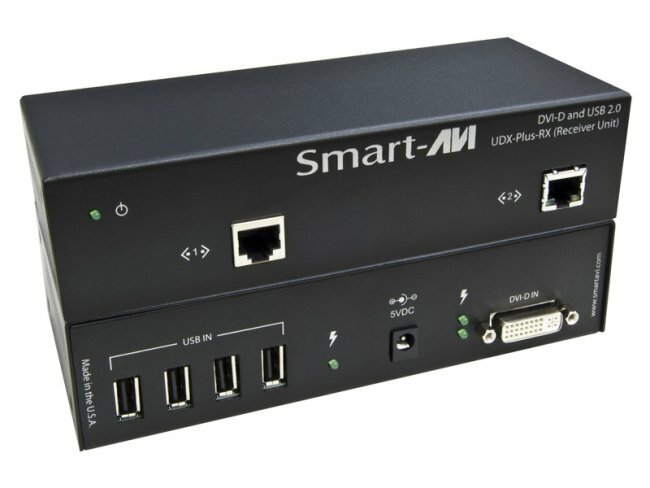 The UDX-Plus is the perfect solution for extending a DVI-D display and USB 2.0 devices to a remote location. It extends DVI-D and USB 2.0 signals to a remote location up to 250 feet (75m) away. The UDX-Plus features pixel accurate signal reclocking which regenerates the input signal into a perfectly sharp and clear output signal. It is fully plug and play with dynamic DDC learning. DVI-D and USB 2.0 over CAT6 STP Extender.